We are just two days away from the next Apple World Wide Developers Conference and the latest announcements from Apple. I thought I would quickly share my predictions for what we will see coming from the land of Apple. Everyone likes to try and read the tea leaves to figure out what the center piece of the show might be and believe Apple tends to add hints to the invitations and graphics. If that is true the center grey square on top of the colors looks a like like an Apple TV as seen from above. There are a few givens for every WWDC, we will see a new version of iOS and a new version of OS X. Since last year HomeKit was introduced we will certainly get an update and see some new devices rolled out to support HomeKit. HealthKit has been around for about a year now as well so I would expect we will see an update for HealthKit as well. Since ResearchKit is just a few months old we should expect to see a little more information on it as well. The Apple Watch will get an update and release a new WatchKit API to allow developers to write native apps for the now 1 1/2 month old technology. The watch will get a smart leashing feature to remind you to not forget your phone and Find My Watch will be added to iCloud. Apple Watch will also likely get some integration with HomeKit to allow users to control their home from the Watch and the watch to work with Apple TV iBeacons to allow users to setup scripts to fire when a device enters a specific area. The new iOS 9 is rumored to get the Snow Leopard treatment with many under the hood enhancements and optimizations to allow it to run better on older hardware. We will certainly get a few new features in addition to the optimizations. Rumors include enhancements to Siri to make it more Google Now like, transit directions, enhanced traffic information, Split Screen Apps coming to iOS, rootless mode to enhance security, multiuser mode, force touch support, improvements to iMessage, updated keyboard with fixed shift key, enhancements to iCloud, additional support for Enterprises, and support for the San Francisco Font. OS X 10.11 will likely include rootless support for enhanced security, San Francisco Font, additional UI cleanup, Siri Support with Proactive support the Google Now like interface for iOS devices, iOS like Control Center, additional iCloud enhancements, additional support for Enterprises and more. Enhancements to Swift language and more apps that will be smaller, more powerful, and more secure. Apple Music, I believe we will see a whole new version of iTunes called Apple Music to manage your Music and separate apps to handle Movies, Podcasts, etc. Rewritten from the ground up in Swift it will be simpler and work well with iOS devices. These apps will all be mirrored in new versions on iOS. iTunes Music and Beats will merge into a streaming music service that will be free to iTunes Match users and include curated radio stations built by artists and DJ's. iCloud will receive stability and speed enhancements to make the Mac and iOS devices work better together and extend features to the Apple Watch. It is unlikely but I would like to see more collaboration features for iCloud users. 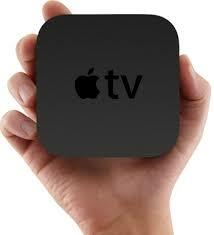 A new Apple TV could be in the mix tied to HomeKit and the modifications to iTunes and other services. The developers conference would be a great time to announce it and release an AppKit for Apple TV allowing developers to start writing for the Apple TV. I do not expect to see new hardware since the Macbook Pro and iMac just got an update. The Macbook was just released and it would be much too soon for an update yet. As I write this I am thinking more Apple needs to have a couple of more events this year. A media event to rollout Apple Music, Apple Movies, Podcasts, Streaming Music with apps for iOS and Android, the new Apple TV with live streaming services could be a stand alone event. A rollout for new iPhones and iPads around the launch of iOS 9 and OS X.